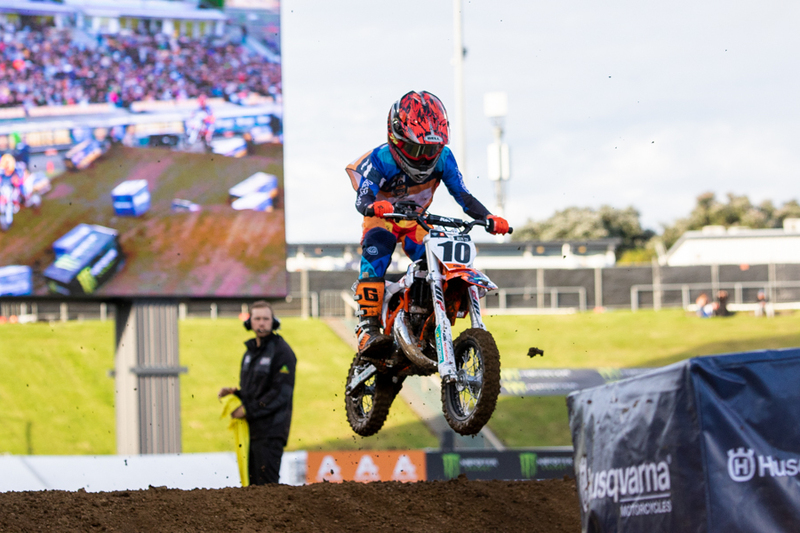 Mt Smart Stadium in Auckland was packed to almost capacity for the inaugural S-X Open Supercross on Saturday and while more than 21,000 noisy race fans in attendance were thrilled to witness the spectacle of international supercross action, it was perhaps the 10 young Kiwis – between 7 and 8 years old – who had signed up to take on the 2018 KTM Junior Supercross Challenge (KJSC) who expressed the most joy. 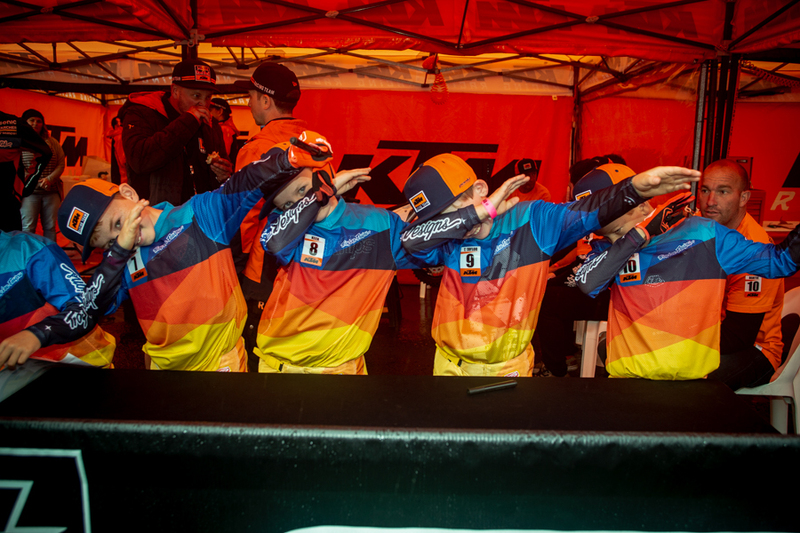 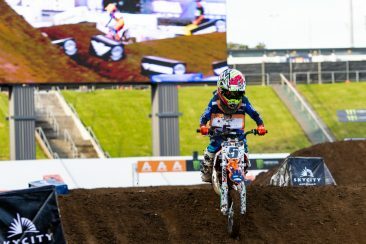 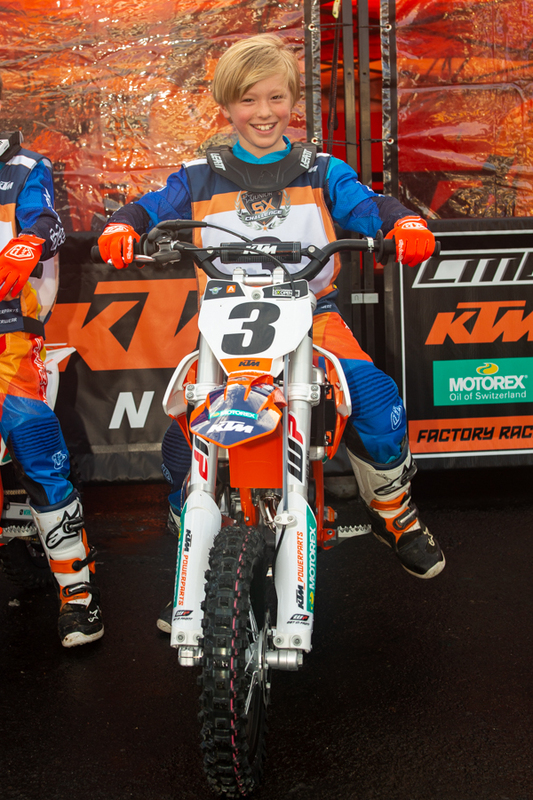 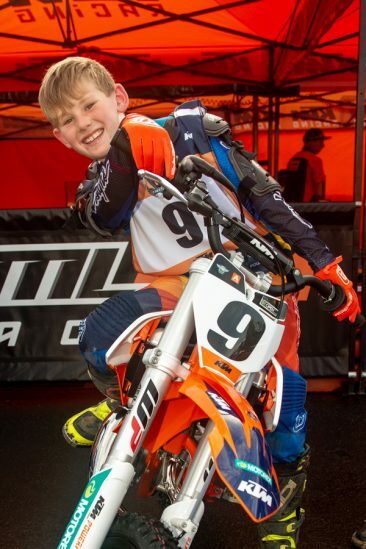 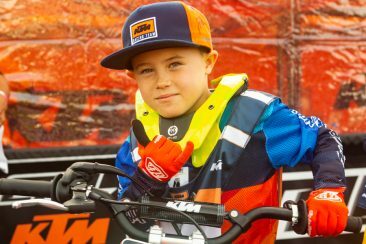 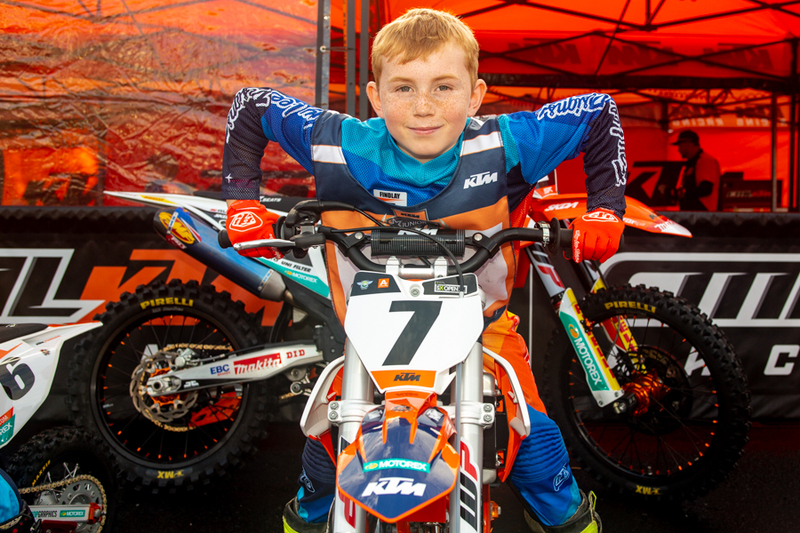 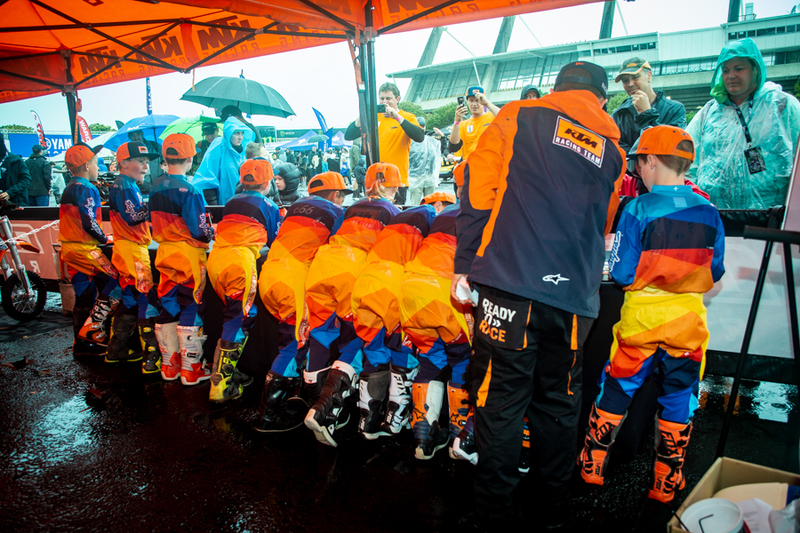 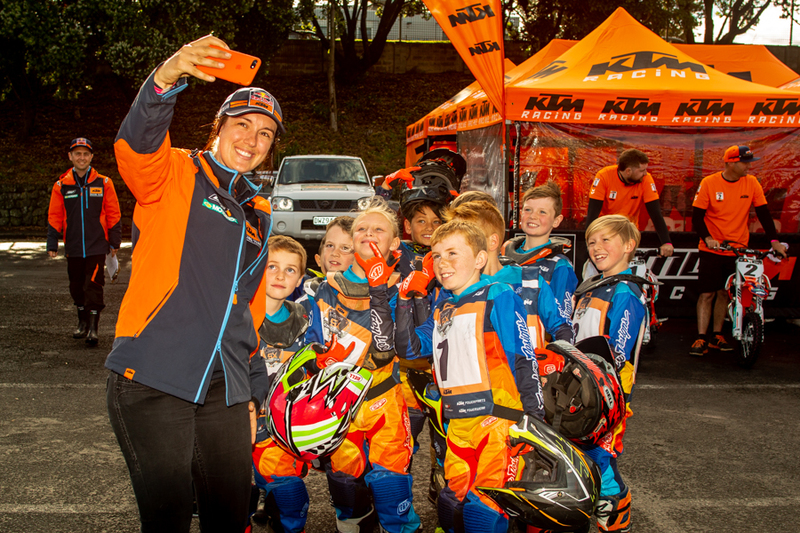 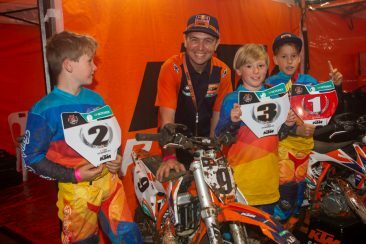 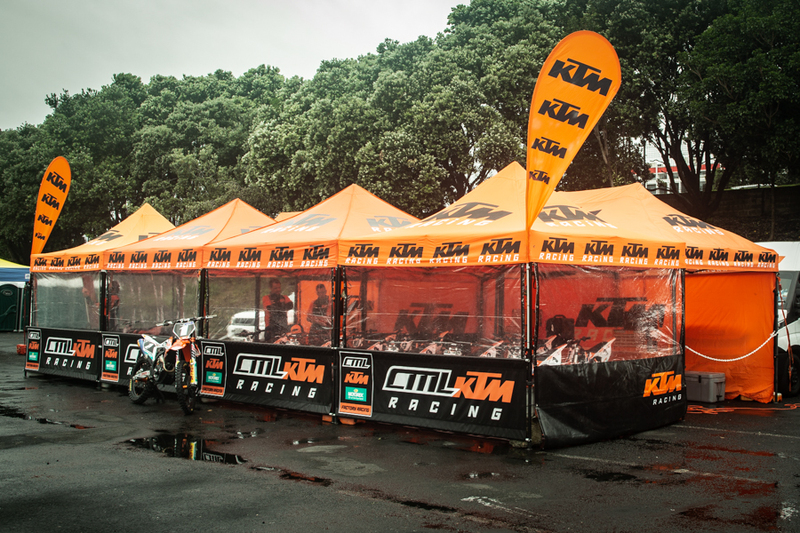 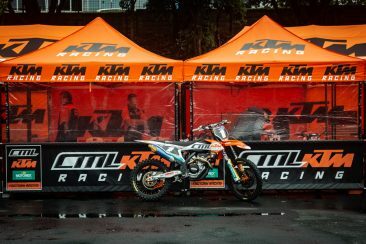 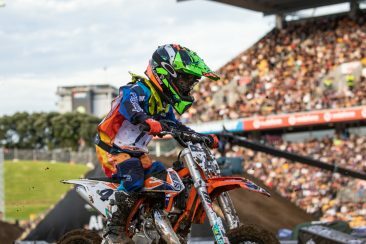 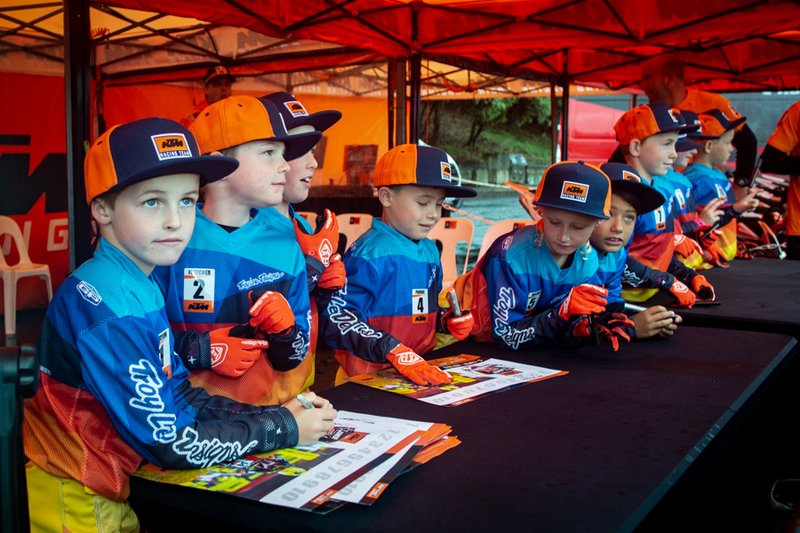 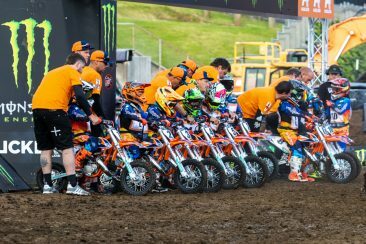 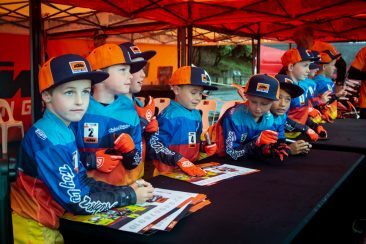 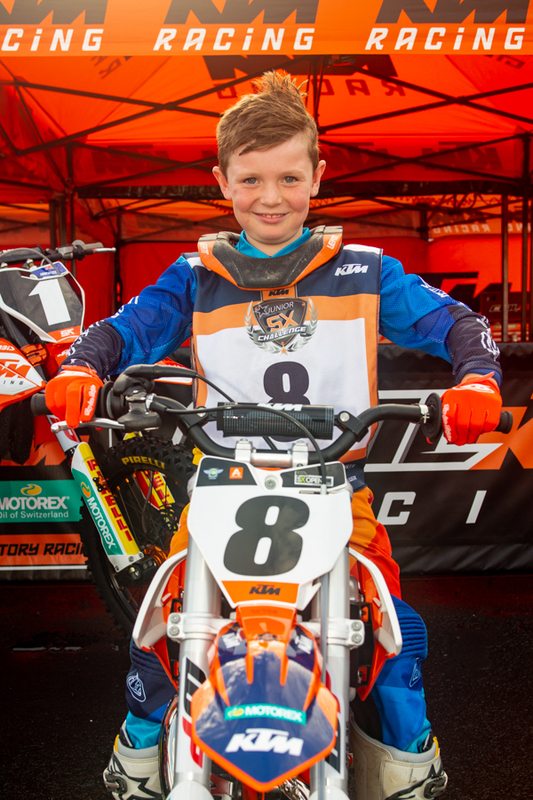 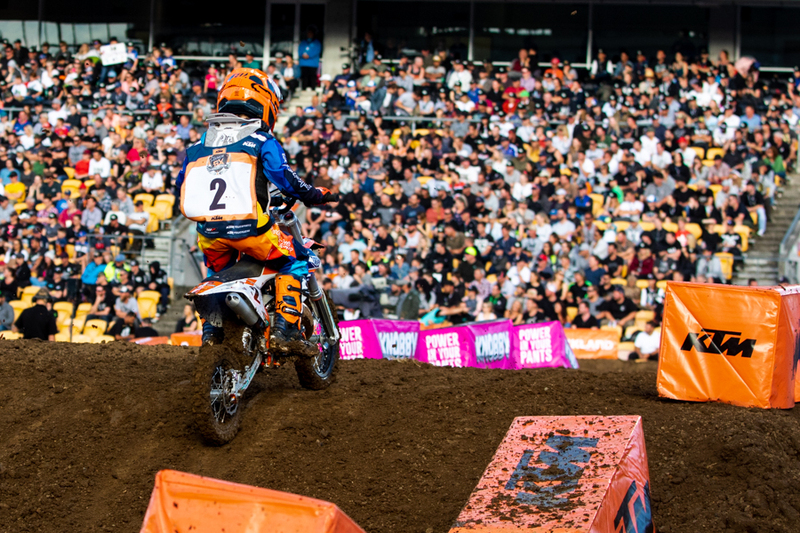 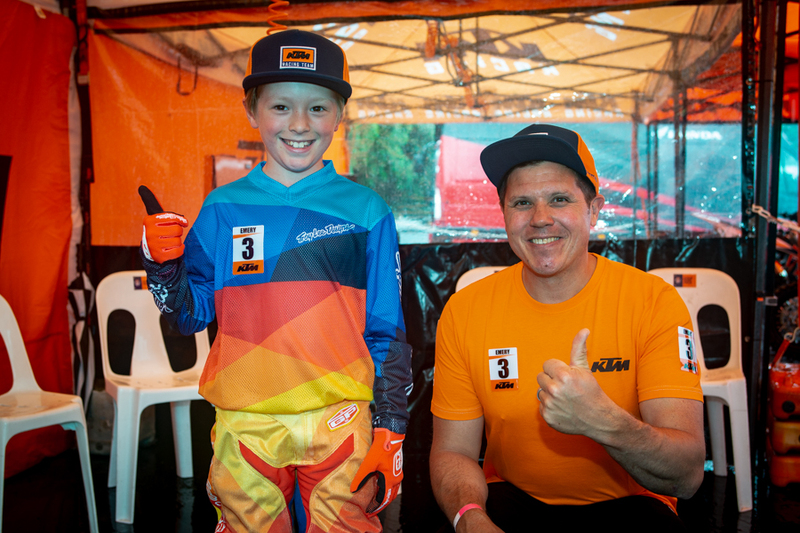 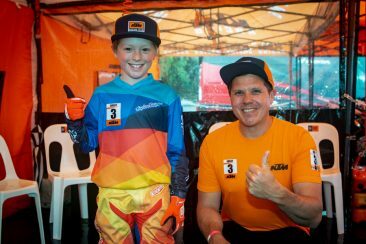 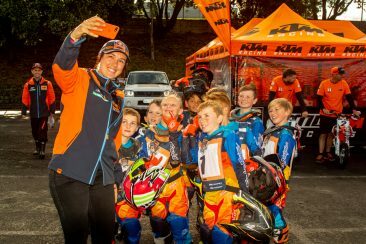 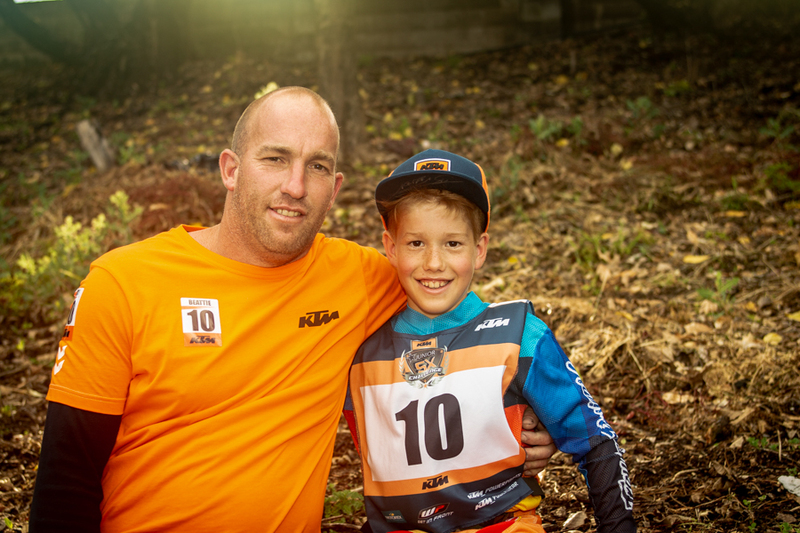 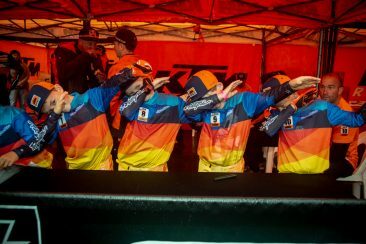 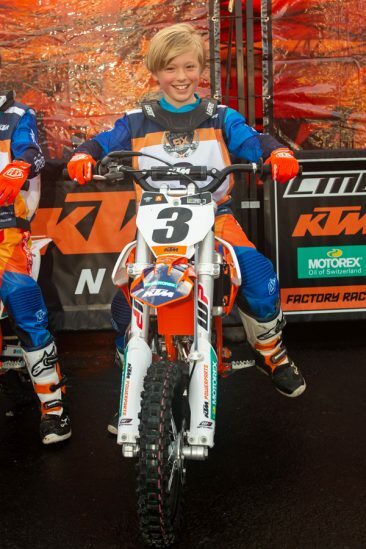 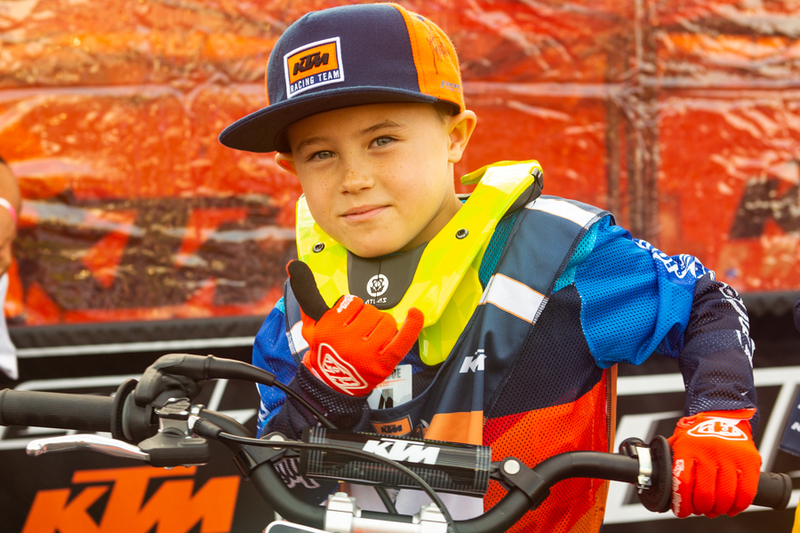 For the first time in New Zealand, KTM in conjunction with AME was able to offer the KJSC experience, a unique opportunity for aspiring young riders to truly walk in the shoes of a professional supercross rider for a day. 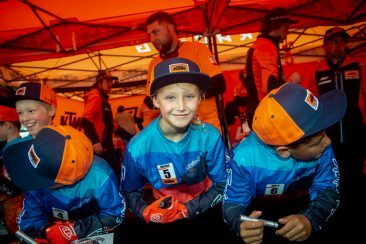 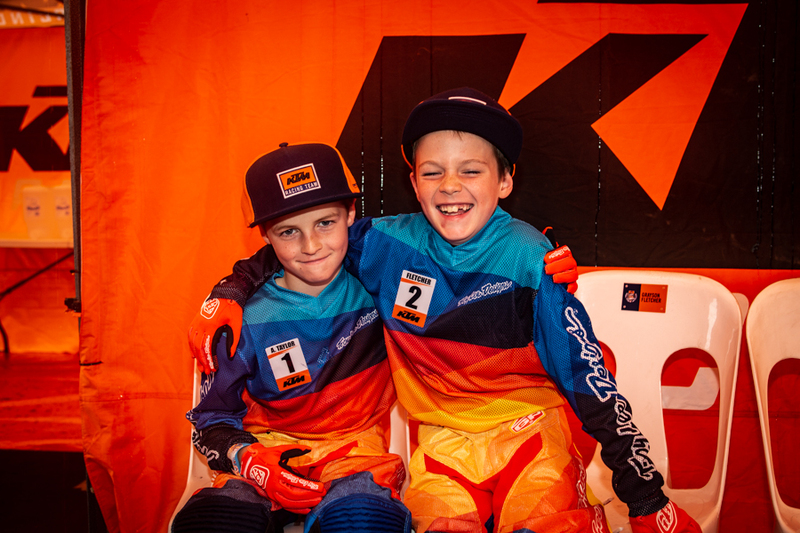 Riders were welcomed to their pit set-up upon arrival where they received a KTM PowerWear Pack, got dressed into their Troy Lee Designs riding gear and took part in a team briefing, rider signing session and pit party experience. 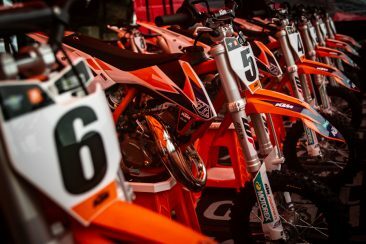 Riders were introduced to their KTM 50 SX bikes and familiarise themselves with their surroundings. Even with heavy rain throughout the morning, there was nothing that could dampen the spirits of the wide-eyed riders who had travelled from all over New Zealand for the Factory Racing experience. The weather gods smiled down upon us in the afternoon, with sunshine breaking through the cloud cover as track workers peeled back the plastic on the circuit, cleared all the standing water and remodelled some of the technical supercross track so the show could go on. 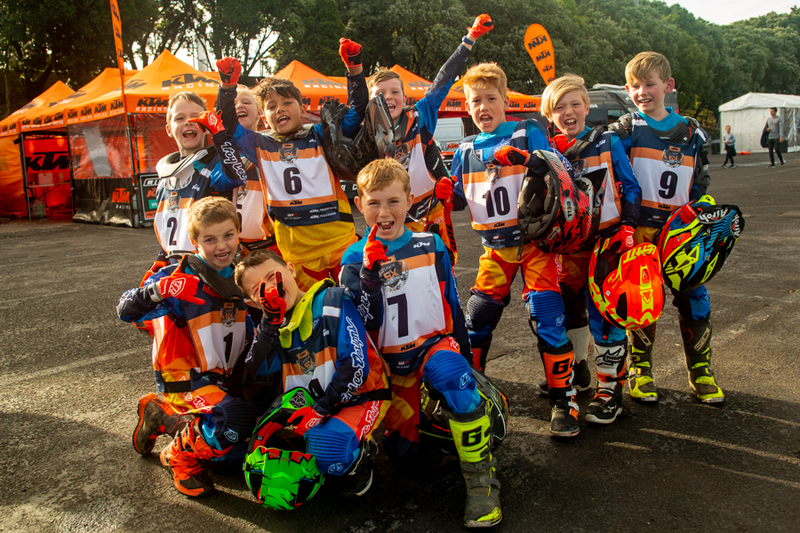 As the KJSC riders made their way to the stadium floor the excitement built. 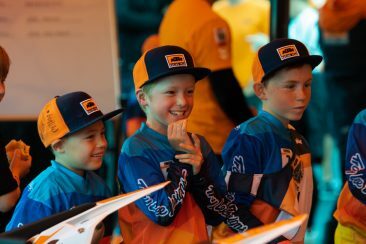 The riders appeared on the starting line with their bikes and to the roar of the crowd headed into their first practice session. All riders navigated their KTM 50 SX’s around the muddy conditions with precision as they took every jump, rut and berm in their stride. 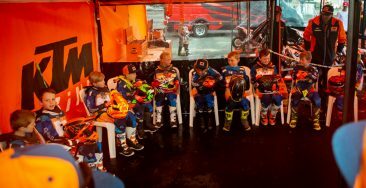 Once riders had finished the practice session, they headed back to the viewing area with their mechanics, grabbed a drink and took a short rest before heading back down to the start line to experience the gate drop at their very first supercross event. 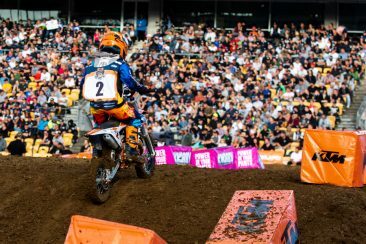 All 10 riders powered down the straight headed for the first turn and went bar-to-bar for the remainder of the 7-minute main event. The track conditions had drastically improved since the first practice and riders were really able to show exactly what they were made of: jumping off obstacles and railing around berms was a fantastic display of just how capable these young riders and their machines are. The riders all came through the chequered flag with smiles from ear to ear, visible even underneath their helmets. 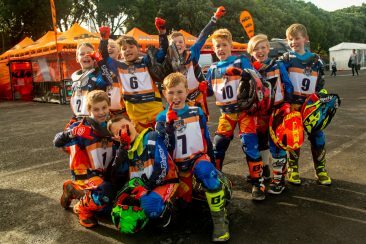 They had completed the first ever KJSC in New Zealand, been part of a worldwide TV production and all received special participation certificates to say they successfully came through the 2018 KJSC program.